HCL Walk-in interview for fresher’s on 24th OCT 2016 for Associate Graduate Engineer Trainee at Bengaluru/Bangalore, Chennai, Hyderabad / Secunderabad. B.E/ B.Tech, M.Tech, MCA candidates can attend the walk-in interview for the Associate Graduate Engineer Trainee Role. Grab the great job opportunity to kick start your career as a fresher. Before attend the walk-in interview, Candidates should go through the Job Profile, Qualification, Job Description etc., clearly given below. HCL Walk-In B.E/ B.Tech, M.Tech, MCA freshers 2017 for Associate Graduate Engineer Trainee at Bengaluru/Bangalore, Chennai, Hyderabad / Secunderabad. 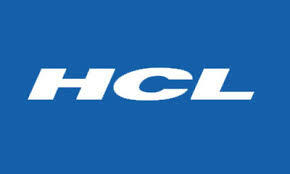 Candidates who have completed B.E/ B.Tech, M.Tech, MCA can apply for this job from HCL . Walk-In Address:- #7/1, Manoharaa Plazaa, Brookfield ITPL Main Road, Bangalore – 560066. Land Mark : Next to Hyper city Mall ,behind the HDFC Bank..